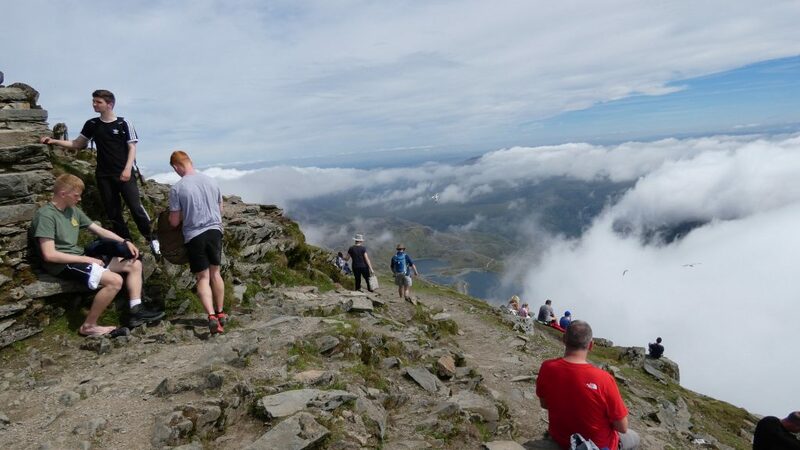 A beautiful day on top of Snowdon. But it was very busy. I would like to say I climbed up but I thought the mountain railway would be kinder to my feet. Also, would you believe I’m staying in a place with no wi-fi! I’m having to resort to scrounging wi-fi from the occasional free hot-spot. There is a story out there about those three young guys. Blondie’s feet need some TLC and Ginger wants to give him some; Blackie likes to watch but could be persuaded to help.